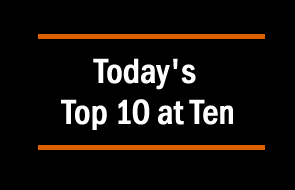 Today's Top 10 is a guest post from Christina Leung who is a Senior Economist at the New Zealand Institute of Economic Research (NZIER). She also heads up Membership Services at the NZIER, which produces the long-standing Quarterly Predictions and Quarterly Survey of Business Opinion for its members. 1) Why are people so gloomy when the economy is on the mend? The Wall Street Journal looks at why US residents are so pessimistic despite the improving state of its economy. “For the most part, the economists are divided between two wonky and interesting explanations: 40% of economists said they believe this is mostly a cyclical phenomenon—the economy always has its ups and downs and people are slow to pick up on it. For now, the explanation goes, people remain deeply unsettled or scarred by the Great Recession, but their pessimism will fade with time as cyclical improvement becomes clearer. 2) We’re all getting into music streaming – but what’s the effect on the music industry? This National Bureau of Economic Research paper looks at the effects of music streaming services on the music industry - does the revenue from streaming make up for lower sales of recorded music? It appears so. 3) Are we all just stealing growth from each other? Economics Editor of The Guardian Larry Elliott discusses a world where all central banks are undertaking very loose monetary policy to weaken their exchange rates. How do you get all exchange rates low at the same time…? The Reserve Bank of New Zealand takes a closer look at what has been driving the recent strength in housing market activity using unit-record data of house sales. It finds leveraged small property investors have been the key driver of strengthening housing market activity. 5) Even Famous Female Economists Get No Respect. Justin Wolfers from the New York Times looks at why even the most famous female economists play second fiddle to male economists (in some people’s minds anyway). 6) Is distributed generation the future of energy generation? Renewable energy is becoming increasingly popular, but distributed generation has its drawbacks, including diseconomies of scale. The Berkeley Blog discusses the pros and cons. 7) Is rail really necessary as public transport? Radio NZ reports that double-decker buses have come to Auckland, heralding in a new era of everyday commuting – boomtown! 8) Is there still a case for biodiesel? The Volkswagen emissions cheating scandal has called into question whether clean diesel technology is all it’s hyped up to be. The Conversation argues there is still a place for a clean diesel solution. 9) Don’t worry, be happy. Danish think tank the Happiness Research Institute finds digital detoxers had higher rates of happiness and enthusiasm, better social lives and fewer problems with concentration. 10) Sugar consumption tax’s impact on farmers. The UK Farmers’ Weekly looks at the effects of a tax on the consumption of sugar. No 1 - it has to be a structural problem.....The world has too many academics who have no practical experience and that goes for economists!! "Anti-intellectualism is a common facet of totalitarian dictatorships to oppress political dissent.Perhaps its most extreme political form was during the 1970s in Cambodia under the rule of Pol Pot and the Khmer Rouge, when people were killed for being academics or even for merely wearing eyeglasses (as it suggested literacy) in the Killing Fields. During the Spanish Civil War and the following dictatorship, General Francisco Franco's civilian repression, the White Terror campaign, killed an estimated 200,000 civilians, targeting heavily writers, artists, teachers and professors." "In the 20th century, intellectuals were systematically demoted or expelled from the power structures, and, occasionally, assassinated.[where?] In Argentina in 1966, the military dictatorship of Juan Carlos Onganía intervened and dislodged many faculties, leading to a massive brain drain in an event which was called The Night of the Long Police Batons. The biochemist César Milstein reports that when the military usurped Argentine government, they declared: "our country would be put in order, as soon as all the intellectuals who were meddling in the region were expelled". "The Red Guards were particularly brutal in attacking their teachers and professors, causing most schools and universities to be shut down once the Cultural Revolution began"
ie oh so lets use ppl like you who blindly guess based on their political viewpoint? Now while economists are not my favourite ppl I'd rather have to go with what they say than say yourself. yes, bound to go well. In life we might think we have a fair idea of what something is like, or how something will be etc, but until you have been at the coalface you know very little of anything......nothing to do with political viewpoint all to do with reality!!! Incomplete information of course depends no whether the said information is actually of any use or is even real information, I suppose you would supply it? yeah right. Coal face, well frankly no, that is usually a technical level of competency not an engineer / academic but then you fact you cannot fathom this as a difference does not surprise me. An example would be the first atomic bomb, a technician simply would have never built it, ever, it took the very best academics to do so from the entire world. Reality, fraid I cannot agree with your reality. Wow, clever idea using double decker buses for commuting. Who would have thought? Need the numbers to justify the extra cost both weight and energy use especially when empty. though NZ's reason is axle weight limitations, which now we have bypassed that suggests greater road wear and tear, ie cost. So peak time sure instead of 55~70 ppl full and say a 12tonne bus? we get 100ppl and a 18tonne bus. During the off peak however with say 3 OAPS all on a gold card we are now carrying 6tonnes of extra weight for zero income. It would almost make sense to pay for a shuttle. I think we could use those other strange things in Tandem too. Then we could kill two birds with one stone. Remove the fat of the land as well as the congestion and save on petrol or diesel into the bargain. But that would be too obvious for the lazy burghers of Awkland. They can only think big. That is why we have so many problems, healthwise, otherwise and property wise. But, you lot all go ahead and not build yer muscles and keep yer brains active. Die of congestion, keep on eating, keep on smoking and leave us fit people alone. City folk are so dumb, they think a real Double Decker is from Mcdonalds and a Mcmansion is an investment in prosperity. One day they might wake up dead wrong on both counts. #1 People just don't trust the powers that be after the GFC and all the Wall street bankers got away with their shenanigans. The fact that the Fed is a private Bank advising the Govt and so on. Too many conflicts of interests, vested interests and personal agendas, not to mention wallets on the line. #5 this comment is more a reflection on Ralph Nader (the man who made it) than on Ms Yellen's abilities, credentials or opinions. Gender has nothing to do with ability, but irrespective who or what you are if you want to put an opinion in the public arena, do not be surprised if it gets debated vigorously, and definitely don't be offended by those who disagree, or the small minded ones who can only resort to personal attacks to justify their position. How the dabate is carried is a reflection on those participating, not what is being debated. Rail patronage hit 15 million passengers in Auckland this year. I use rail on a daily basis - it's efficient, quick, direct and isn't held up by nose-to-tail crashes on the north-western. Do yourself a favour and stick to economics. ... I suspect we wont need it, primarily due to the impact of ride sharing APPs on traffic volumes. Some rather crude one's have arrived (such as chariot), but imagine when this is refined to the point when you can walk out the front door, send a notfify on your phone, passing car picks you up, automatically calculates your fare, auto debits, plus an ability to recalculate if someone else picked up on the way - a version of uber but cheaper as the driver is on his way to work or whatever. Bad news for car manufacturers and associated industry - and challenges the projections for more and more roads. #6 I have been meaning to look for something on this given Gareth Hughes fascination with house solar, an interesting piece. #2 I wonder what the difference in energy consumption is between the 2 methods. #8 bio-diesel has an awful EROEI. "The EROEI of biodiesel is only somewhat better than that for ethanol" which then is bloody awful. So for our modern economy we need 8 to 1, when biofuels are more like 1 to 1. ie we put a lot of fertilizer and fossil fuel into making a crop that we might have well just burned the fuel in the first place and saved capital investment in a blind alley.